An old villa just outside Esfahan, young people gather to celebrate Châhârshanbe Suri. 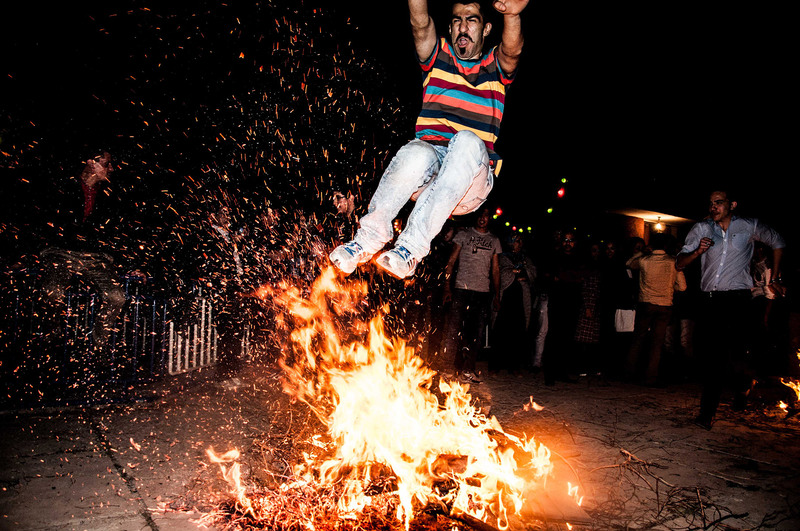 On this night, four days after Iranian New Year and the start of spring, Iranians jump over fires to wash away their sins. The fire absorbs problems and gives new energy. This ancient Iranian festival dates back to at least 1700 BCE - the Zoroastrian era - and is also celebrated in various other countries around the world.